8:30 am: Arrive at Holmes Bakehouse. Prepare to wait in line approximately 30 minutes for a cruffin. That’s right, a decadent croissant muffin stuffed with pudding confection is called a “cruffin.” It’s worth the wait and if you’re lucky, it’ll be a salted caramel day. They sell out by 9:15 – be punctual. 9:30 am: Head North on foot or Uber towards the bay to pick up a bike from “New Holiday Adventure Sale & Rentals.” It’s a dry cleaner with bike rentals at a rock bottom price. Nothing fancy here but you won’t find a better deal. 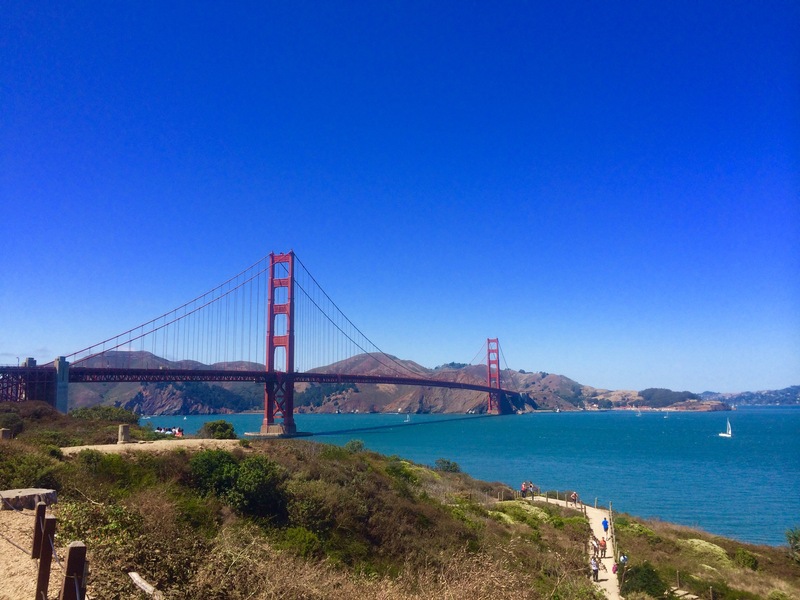 Put a dent in your sugar high with a bike ride over the Golden Gate Bridge! Pick up a coffee and off to prison you go! Alcatraz aka “The Rock,” known for housing famed criminals such as Al Capone and the “Bird Man,” is one of the most traveled National Parks in America. Take the audio tour as you walk through jail cells and spooky courtyards. Buy your tickets early and you won’t regret it. 12:00 pm: Arrive in Sausalito totally rejuvenated. Leave your bike with valet – it’s worth the five bucks and hit the artisan shops. If you’ve worked up an appetite, grab a snack from the cafe, but save your appetite for later. 1:00 pm: Take the Blue & Gold ferry back to the Fisherman’s Wharf SF. Upon Arrival, head West towards Ghiradelli Square. If the Dungeness crab is one of the reasons you’re visiting SF, devour a crabby critter at Lou’s Fish Shack. 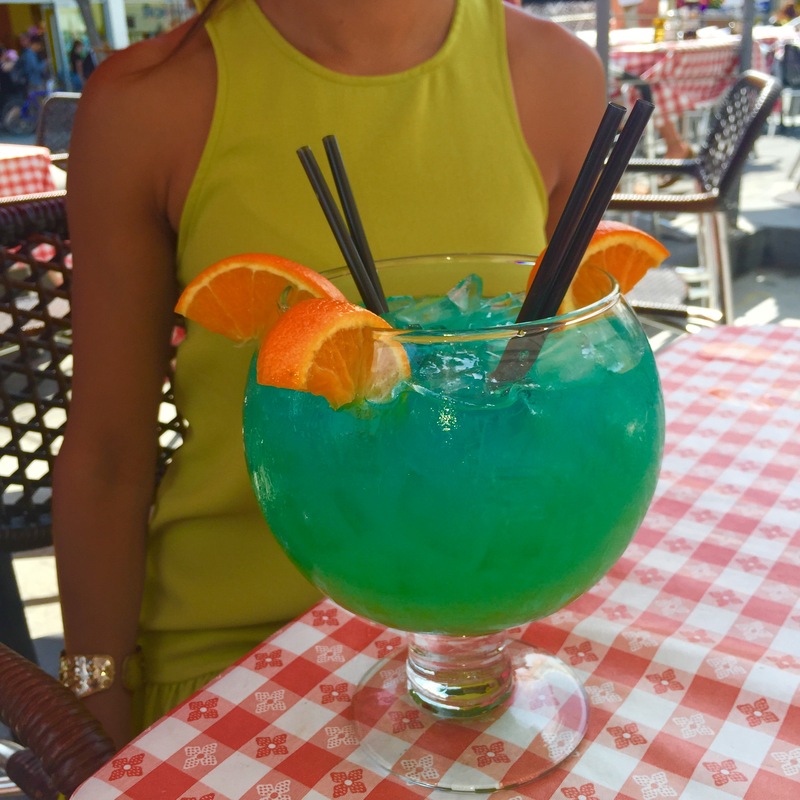 Wash it down with a 60 oz Lou’s Blues pineapple vodka delight. That’s if you’re sharing, of course! Your fur baby is welcome on the outdoor patio. 3:30 pm: Follow the sidewalk towards the Aquatic Park Green and relax on a park bench along the waterfront. Yep, that’s Alcatraz in front of you and the Golden Gate Bridge to your left…this city is THAT picturesque. Enjoy a game of fetch with Fido in the lush grass. 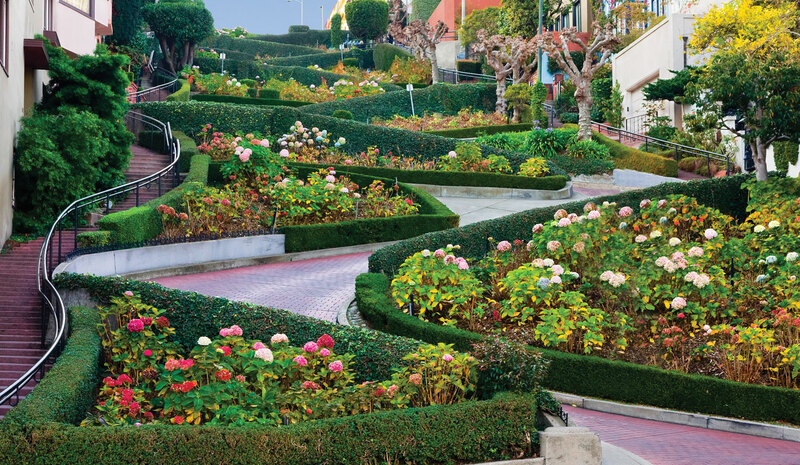 4:00 pm: After a little R&R, ride the Hyde line cable car up the hills to Lombard Street aka the “Crooked Street.” Get your camera ready! Aside from the obligatory cable car selfie, you’ll want to capture a bird’s eye view shot of the cars winding down the road. Between the floral arrangements and the Bay Bridge in the background, there’s no better photo op. 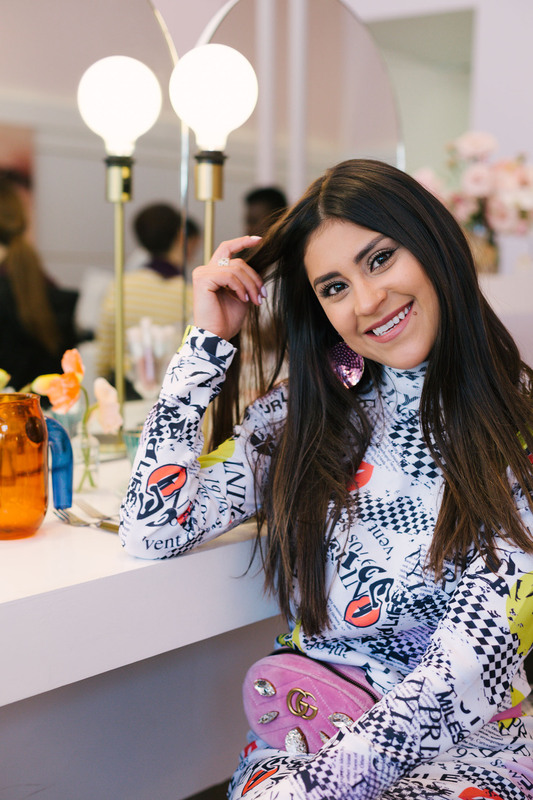 4:30 pm: Grab your bike and make your way down Lombard Street to drop off your rental, and head South up Buchanan towards Union Street – a fashionista’s shopping haven. Here you’ll find gift shops, jewelry stores, among trendy boutiques (Current Clothing deserves a shoutout). Sit for a glass of wine at the neighborhood gem, Capannina, or indulge in the ravioli or chicken if you skipped the crustaceans. 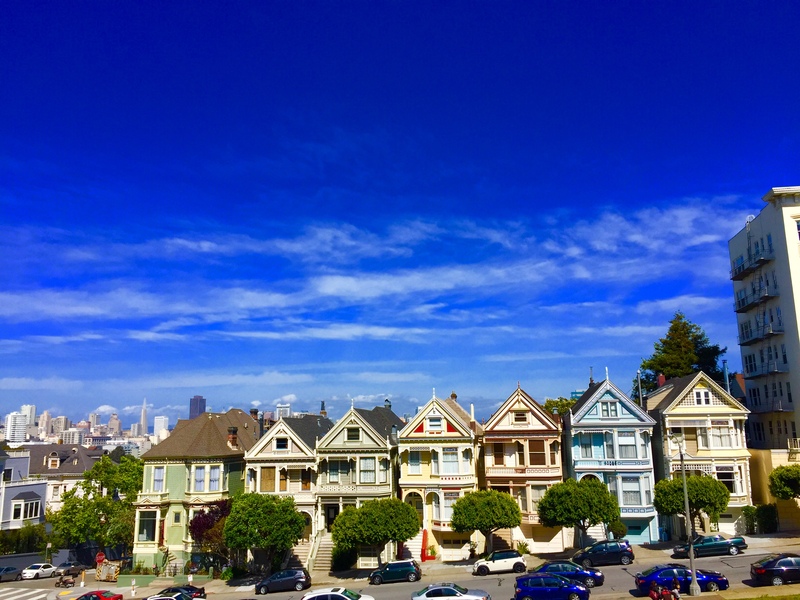 Afternoon Alternative: Escape to Alamo Square to admire the Painted Ladies. Grab a cocktail along Divisadero at Horse Feather. 6:00 pm: Hail a cab Request an Uber for naptime and a smart causal outfit change. 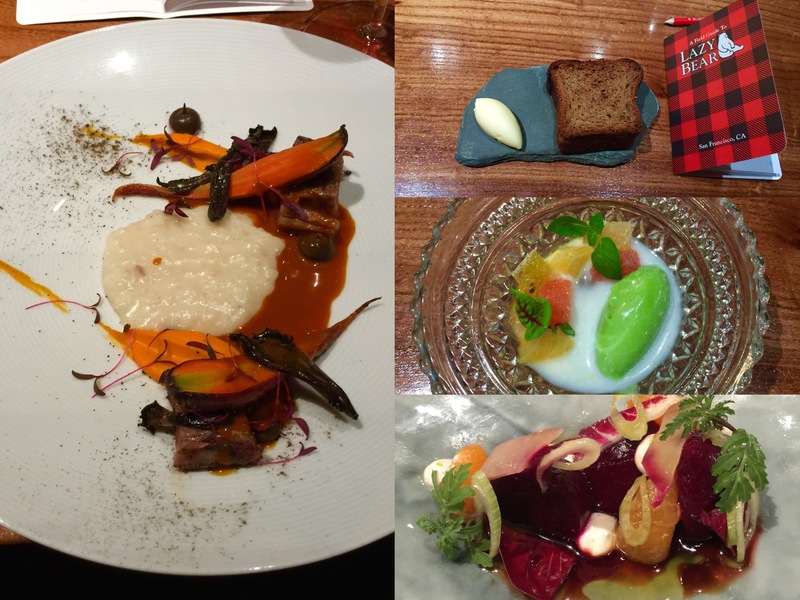 8:00 pm: Mission bound to Lazy Bear – a stellar restaurant. Hopefully you’ve worked up an appetite because you’re about to participate in one of the most unique dining experiences in America. From the first to the twelfth course (no that’s not a typo), indulge in lip-smacking good concoctions made from the freshest local ingredients. I hope you took advantage of naptime, because you’ll be feasting until midnight. For more information, refer to my two-part blog series, Your Guide to Lazy Bear San Francisco: A Unique Dining Experience and Your Guide to Lazy Bear San Francisco: The Appropriate Attire. 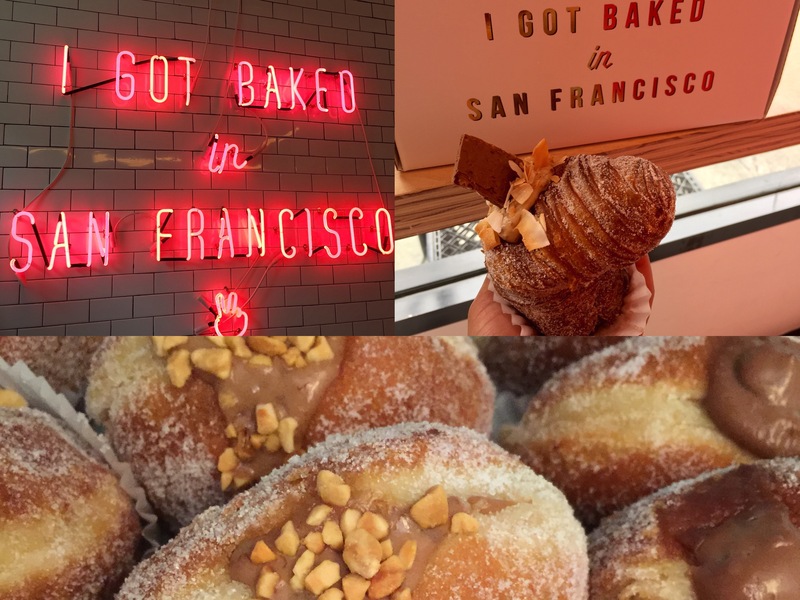 Click here to read more food reviews including where to find the best pizza in SF! August 21, 2015	by Kelsey K.